Red Dot, the top-tier global design competition, has awarded Brandient for the original typography design featured on the cover of BIZ Magazine’s issue dedicated to the booming business scene in Singapore. In an attempt to best capture Singapore’s pulse with maximum wit and minimal graphic means, our approach was to create a wordmark inspired by Singapore’s unique architectural monuments. 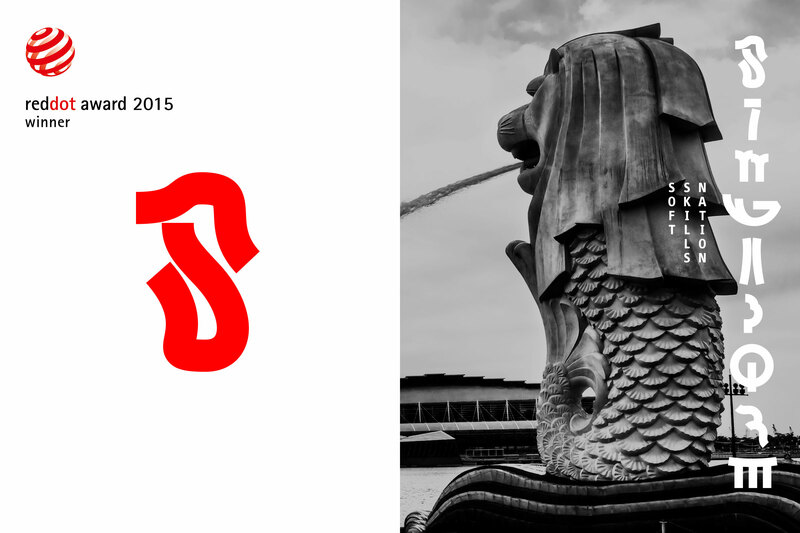 Thus, each glyph in ‘Singapore’ is inspired by a real landmark — the ‘S’ can be traced back to the famous Merlion sculpture, the state’s national symbol, while the ‘E’ stands for the famous Marina Bay Sands Hotel and so on. Connoisseurs of Singapore’s culture will recognize the typography inspiration, while non-accustomed readers will be intrigued by the deeply Asian spirit of each letter.